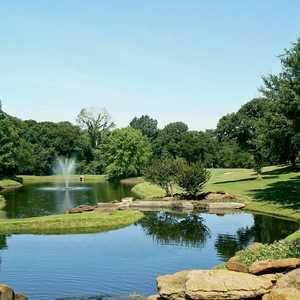 Located next to Dallas’ exclusive Preston Trail Golf Club, Bent Tree opened in 1974 as the centerpiece for a 700-acre development headed by Dallas real estate investors Robert Folsom and John Murchison. The two hired the eclectic Scotsman Desmond Muirhead to design the course on 190 acres of former cotton fields. Jack Nicklaus and Arnold Palmer came here in 1963 to endure one of Texas’ hottest weeks ever, with temperatures rising as high as 113 degrees during the PGA Championship tournament. Nicklaus prevailed that week, and eventually he returned to renovate Ralph Plummer’s original layouts. One of only a handful of A.W. Tillinghast-designed Texas courses, super-exclusive Brook Hollow Golf Club still has the charm of its original 1919 design, despite subtle revisions by Ben Crenshaw and Bill Coore in the early 1990s. The revered A. W. Tillinghast didn’t do many Texas courses, but old 1919 Cedar Crest was one of them, a course that hosted the 1927 PGA Championship won by Walter Hagen. The Presidents Course was built to accommodate beginners, seniors, and women, but is a great way for better golfers to work on their iron play. The par 4s are around 300 yards or less, and the par 5s are reachable in two. When Dallas began to sprawl to the north in the 1960s, The Clubs of Prestonwood opened to serve the families that would inevitably follow the migration. The Creek Course was the original track, carved out of the live oaks and pecans. 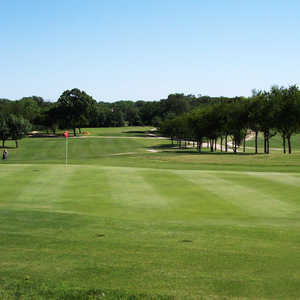 The 18-hole Dallas Country Club in Dallas, TX is a private golf course that opened in 1896. Designed by Jay Morrish and Tom Bendelow, Dallas Country Club measures 6561 yards from the longest tees and has a slope rating of 132 and a 72. Referred to as “the best piece of land left in America close to a downtown” by architect Tom Fazio, ultra-exclusive Dallas National sets a new standard for golf in Dallas. White Rock Creek is the predominant feature of the Glens Course, snaking across the route and a providing a haven for stragglers looking to cool off with a dip, bag a few spare balls to sell, or even catch a catfish or two for supper. Press Maxwell came along in 1952 to mold this 171-acre tract highlighted by ancient oaks and Five Mile Creek into the Golf Club of Dallas. Maxwell’s design features small greens and a few of the toughest holes in Dallas. Built by Dallas banker E. O. Tenison after World War I as a memorial to his son who died in the war, Tenison Park has a storied history as Texas; most infamous hustlers course--the place where guys like Titanic Thompson and Lee Trevino earned their livings and their reputations. Dallas experienced the golf craze after Dallas Country Club opened around the turn of the century, enabling clubs like Lakewood, which was founded in 1912, to generate the necessary funds to become established and build golf courses. Luna Vista Golf Course is part of the LB Houston Sports Complex and used to share the same name. When the course reopened as Luna Vista, more than just the name changed. One of the largest golf complexes in Texas when it was built in 1959, Brookhaven CC features three Press Maxwell-designed courses that offer a wonderful variety of golf. The signature course of the facility is the Master’s Course, which was renovated in the early 1990s by Jeff Brauer and now boasts a brand-new set of bent-grass greens from work done in 2002. The Championship Course is not as difficult as the Master’s, but offers plenty of challenging holes. No. 10 is the most difficult--a long par 4 that bends right, it requires a perfect drive to set up a reasonable approach over the lake to the green. What makes this one of the best golf courses in the state? Let’s list the reasons: Location: Far north Dallas, with White Rock Creek meandering through. Layout: Stunning and traditional, with tree-lined fairways, the right amount of water and bunkering, and huge, lightning-fast bent-grass greens. Royal Oaks opened in 1969 with a difficult Don January and Billy Martindale design, which was made even more challenging with Jay Morrish’s renovation in 1985. 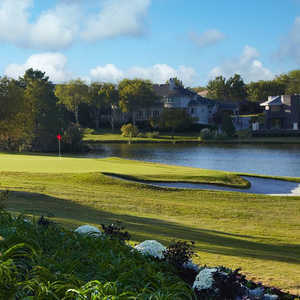 The course lays out in the floodplain of White Rock Creek just east of I-75 north of downtown Dallas, and was noted in the late 1990s as the home course for US Amateur and British Open Champion Justin Leonard. Stevens is another Dallas tradition that dates back to the 1920s–a tight course with unbelievably small greens and wild doglegged holes that laugh at drivers. Creeks and streams dot the landscape, and those tiny greens are fast. Northwood is a private, traditional course that held the US Open won by Julius Boros in 1952. In 1946, a man named Bill Diddel came down from Indianapolis to design what ended up being his only Texas course.